There are some people who are able to just go outside and run. They don't need music or podcasts- they just go. I have mad respect for those people because running without ear buds playing something to distract me is something I have not yet mastered. My phone was just as key in my half marathon training as my running shoes were. Okay, that's obviously a stretch, but you get the idea. Parker introduced me to this app after using it in college, and I really love the features. I can see my pace and distance at all times of my run, which is great when you are trying to keep a solid pace. A voice comes on at each mile and tells you what mile you've reached, your overall time, your average pace per mile, and your split pace for that last mile. This feature is handy if your phone is in an arm band or not easily accessible. Regardless, you know you can count on an update at every mile. Another cool thing about Map My Run is you can use it to track all of your work-outs. If you do a circuit workout at the gym or go on a run without your phone, you can still upload it to your Map My Run account and see all of your work-outs for a given time period. 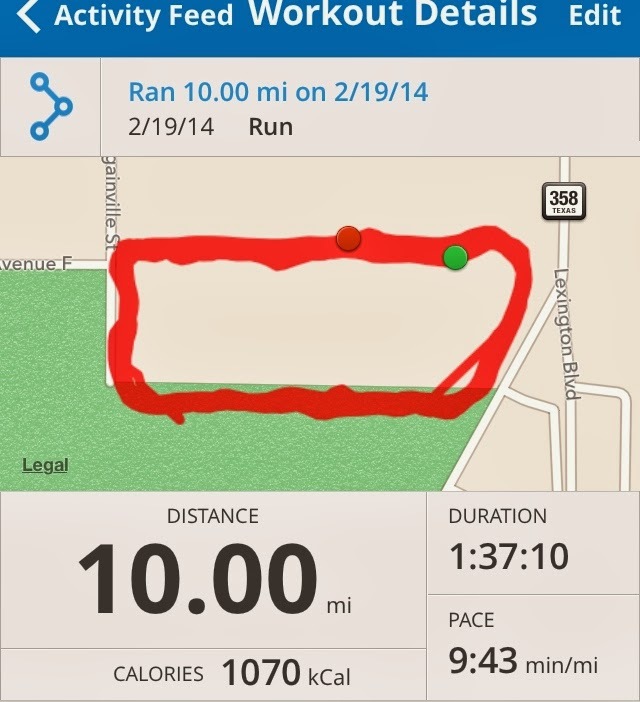 Here's an image of the run summary I see at the end of each work-out (Yes, I ran 10 miles on a circular track. No, it wasn't exciting). I think almost all of us run to Pandora if you don't use a playlist on your phone, so this shouldn't be any big news. I liked Pandora vice a playlist on my phone because it kept me from having to listen to the same songs over and over again. I had several go-to stations that made running as enjoyable as it could have been. Katy Perry Radio: I'm a huge KP fan and like most of the music that comes on this station. Disney Radio: Don't hate on it until you try it. As silly as it may sound, you haven't run until you've run to Hakuna Matata. Seriously, it's impossible not to run a little faster with a huge, goofy smile on your face. Casting Crowns Radio: Casting Crowns is a contemporary Christian band, and I probably listened to this station more than any other. This won't be for everyone, but I found worship music to be incredibly motivating while I was running. There is something about running a long distance to worship music and remembering just how blessed you really are. I loved it. I didn't listen to a ton of Podcasts because I found I zoned out and got bored, but towards the beginning, Podcasts kept me thoroughly entertained. I am a Biggest Loser fan and think Jillian Michaels is a rock star, so I listened to the Jillian Michaels Show. They talked about work outs, health issues, and good foods to eat, and I liked it since I felt like it went hand in hand with the exercise I was doing. My little sister actually introduced me to this app. 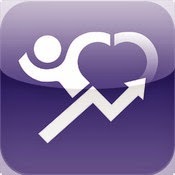 Charity Miles donates 10 cents per mile that you run to a charity that you select. They had about 20 options, and I always chose the Wounded Warrior Project. I just turned that app on at the beginning of my runs and stopped it at the end. For no extra effort, it's cool to know money is getting donated to a good cause while you're running. Those are the apps I found most helpful during my training. My iPhone went with me on every run! What are your favorite training apps? I did my 10 mile run on a circular path too and Ryan thought I was nuts! It was just easier for me to count laps because each lap was a mile. Map My Run or Endomondo are my go-to running apps and Audible was my audiobook app that I used the whole time. You'll love this and I think I already told you, but I listened to the Hunger Games third book during my runs! The odds were not ever in my favor. PS: I need to mail your book back to you. I just remembered that. 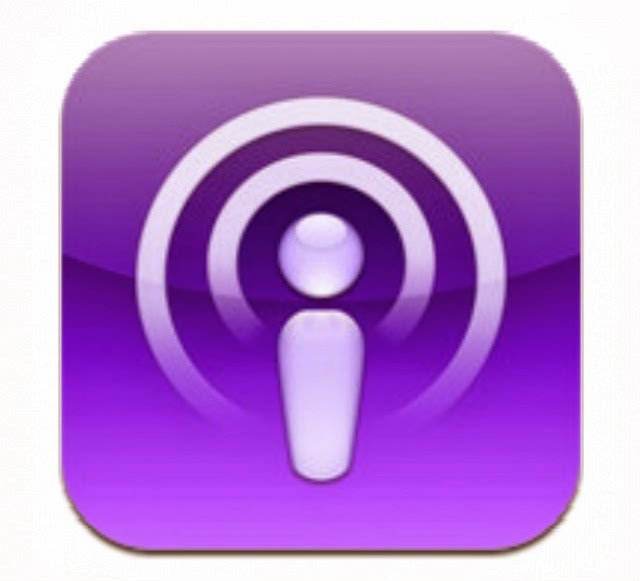 I need to look up that Podcast app though! I have such a hard time running with music, I tried to do it on my first half marathon and it drove me crazy lol. I'm a fan of runkeeper, which I'm guessing is just like map my run. Love Pandora for running. I like Endomondo and 13.1 for Pink. 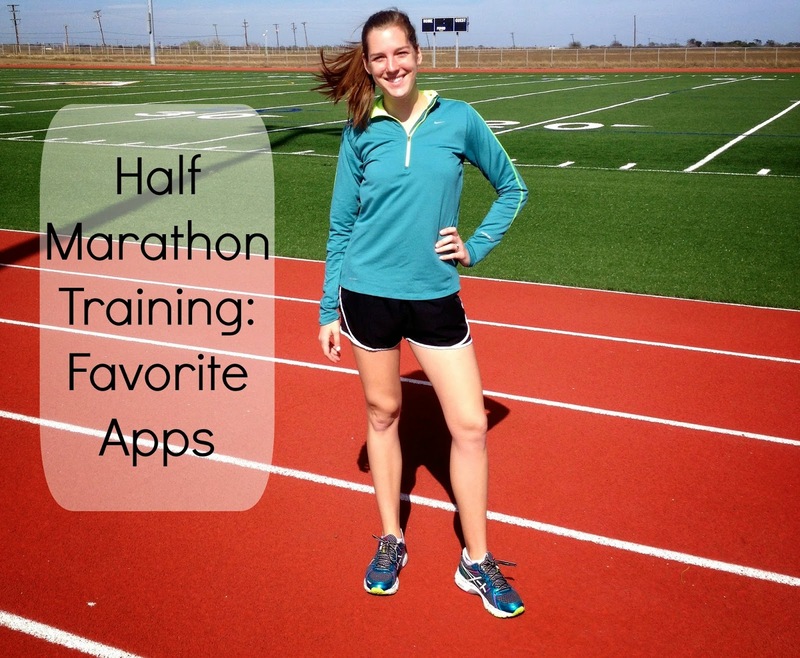 Totally pinned this for my post-baby half marathon training! These all sound like great apps. Disney radio is almost always on my Pandora when I exercise....that and Building 429, another CCM band I love. These are great and I'm definitely telling my hubs about Charity Miles! I'm going to have to get the Charity Miles app. I would definitely donate to Wounded Warrior Project. I did 2 runs in college benefiting them. I love using Charity Miles. I use it every time I walk the dogs too. It is such an easy way to give back. I also use it to log my miles so I don't have several apps up at one time.